Tajinder Singh, also known as DJ SirTaj, is a one-of-a-kind, diamond-in-the-rough kind of artist. Complete with hard-hitting moods and an irrefutable tenacity, he is an act that you do not want to miss. Hailing from the streets of India, he made his journey to the United States in 1991, landing in Atlanta, Georgia. DJ SirTaj is what one would call a jack-of-all-trades. 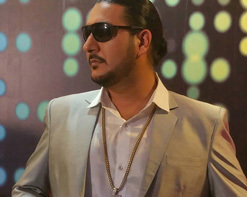 As a Music Engineering graduate, this Punjabi-hop artist is a producer, businessman and lyricist. He is taking the ATL by storm with his fusion of Punjabi, Soul and Hip-Hop music, turning the hip-hop world on it’s proverbial ear. His latest single featuring Q.T., Slice 9 and DJ Funky, “All Day,” is a perfect example of the gloomy keyboard and thumping, dance-inducing beats found in his unbelievably catchy tracks. Not quite new to the performing scene, DJ SirTaj performed in numerous cultural happenings from 1993-2001. A year after graduating, in 2007 he founded his record label and studio, “TRIPPPLE P ENTERTAINMENT” in Decatur, GA. Trippple P stands for “Pure Punjabi Playaz.” The label includes Gourav Singh Raina, also known as NDN. Together, they carefully produce the sounds and cadences of different cultures to bring listeners something totally fresh and unique. DJ SirTaj is presently working on a movie project in India as an executive producer, creating the soundtrack. Here at HIP we are always stoked to be working with new artists who prove to be unique additions to the world of music, and we believe DJ SirTaj hits that mark with authority. If you need more info, call Andy Gesner at 732-613-1779 or e-mail us at info@HIPVideoPromo.com. You can also visit www.Sir-Taj.com for more info on Dj SirTaj.